The Cleveland Crusaders RFC would like to cordially invite you to take part in an event that we want to make a highlight each year. Cleveland has a rich rugby tradition that goes back to 1950s. Over the years players have come and gone and with time, so have several Cleveland clubs. The Crusaders were formed with the intent of unifying Cleveland rugby talent and creating a central home for current and past rugby players in the city. That being said, we want ALL old boys, regardless of the club you played for, to consider the Crusaders, YOUR club and join the festivities. Taking that sentiment one step further, many of our players are parents, and we realize that for a club to be truly successful, it needs to offer something for the whole family. More details will be added in the next couple of weeks, however, this is what the day will look like. – Some form of old boys match. Likely we will have mixed teams of old and current players with rolling subs and a few “halfs”. Likely this will likely be touch, however, we may play “easy” contact depending on the feel that day. – The BEACH! The event will be at Edgewater park so all of the beach activities are game. In addition, on June 8th, the night before the old boys match, a friendly gathering and old boys training session will be held at the Millard Fillmore Presidential Library at 5:30 PM. The Millard Fillmore Presidential Library is located at 15617 Waterloo Road; Cleveland, Ohio; 44110. Family and friends are exceedingly welcome! Want to be in the know on everything Cleveland Crusaders? Subscribe to our Crusader's Club Newsletter to receive offers available only to Club members, event updates, and all things Crusaders! The Crusaders operate Men's Club teams in Division 2 and Division 3 under USA Rugby. 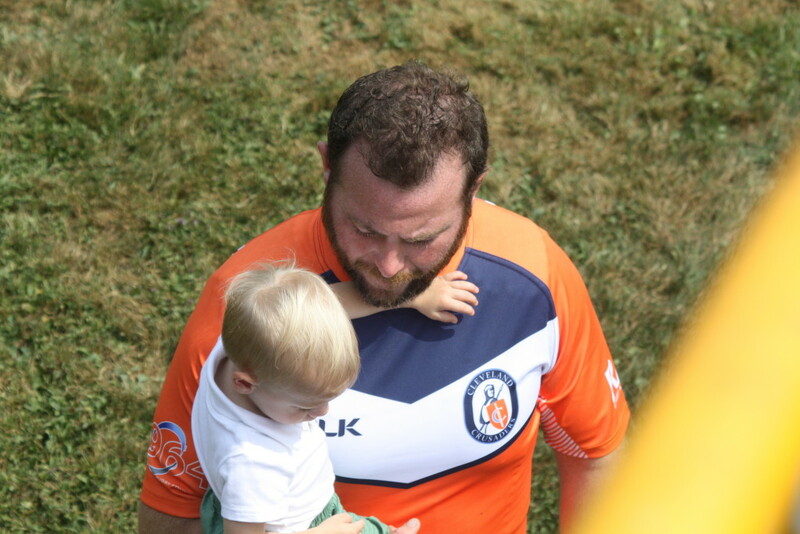 It is our mission to provide competitive and meaningful rugby for all levels of Cleveland rugby players.